Hello, Netters! Long time no see!! !Ubu ndi mu rwa Gasabo, niho nterera gatigisimu. Iyi article yasohotse mu kinyamakuru chya Kigali: "The Sunday Times".Mushirike ubute musome, kandi namwe mwandikire iki kinyamakuru, cg se ikindi mushaka. We understand from this statement that the hundred years of Kigali are counted from the time Dr. Richard Kandt began to live in Kigali as a representative of the "Deutsch Ostafrika" in Rwanda." In fact, given that the actual celebrations are scheduled to commence in October, one may infer from this that we are preparing to celebrate the moment Kandt began to live in his first Kigali house (which apparently no longer exists, the one now known as Kandt's house being actually his second house), and not the date on which Kigali was formally declared the capital of that part the German Empire in East Africa. Kandt established himself as Imperial Resident in November 1907, and exercised those functions until May 1914 (Minnaert 2006) . A. Kagame (quoting De Lacger) informs us that Kigali became the capital of this part of "Deutsch Ostafrika", not in 1907, but in 1908. Later, Kigali became a Belgian colonial administrative centre in 1917—again, according to A. Kagame (and not in1921 as stated in the brochure). But we are not here concerned with the exactness or otherwise of the dates for these colonial landmarks. Our concern is that Kigali City Council is ignoring our own traditional landmarks. We are worried that Kigali City Council appears to have overlooked the widely-known fact that Kigali has been the main capital of Rwanda—umurwa mukuru w'Urwanda—many generations before it had the misfortune of falling into the hands of foreigners. Perhaps the Kigali City Council was misled by the fact that Nyanza, and not Kigali, was, for reasons too involved to explain here, the last residence of Yuhi Musinga and Mutara Rudahigwa. But we should remember that, while, from the beginning of the Third Dynasty, Kigali was always the principal capital—la capitale-coeur Kagame always said—individual kings could establish what may be called a "personal capital" elsewhere, but always made sure to reside in Kigali for the periods stated by traditional law. Kigali has thus never ceased to be the capital of the Kings of Rwanda. We should also note that while Mt Kigali was the site of the royal residence, the capital proper spread out over the surrounding valleys and hills. Courtiers and civil servants, priests and diviners and healers, artists and artisans, as well as farmers and herders lived there, surrounded by temples, sacred groves, holy springs, wells, pools, ritual river crossings, etc.It is true that colonial powers reshaped the old umurwa, erecting on its ancient hills their colonial residences, commercial houses and other Western-style amenities and infrastructures. These, and other forms of modernization, were of course, most welcome. But the truth of the matter is that the colonial enterprises were intended to benefit the colonizers, in cash and kind, and in international power, renown and glory, and that whatever advantages accrued to the colonies were not meant as such, but as a way to increase the means of exploiting them. 1. There used to be a temple in Nyakabanda valley (between Mt Kigali and Nyarugenge hill) dedicated to King Kigeri I Mukobanya, the heroic son of Chyiirima Rugwe, who was born in Nyakabanda valley. A shrine was erected there, to commemorate the birth of this prince, who grew to be the general of his father's army, reunifying its severed parts around the capital, Kigali. The Nyakabanda shrine was dedicated to this great conqueror. 2. The sacred well Rweezangoro, at the foothill of Nyarugenge, in the Muhima sacred grove. The name of this well means translates as "Temple Purifier", for its waters were used to purify and consecrate palaces and temples. In Rwanda tradition the palace is also a temple, for the king's first and principal role is to be a priest and intermediary between earth and heaven. 3. The Nyaruteeja crossing (on river Nyabarongo), at the foot of Mt Kigali, which served as a ritual passage way between the capital, Kigali, and the region of Nduga, thus symbolising the passage from the centre to the periphery and back again. Thus Kigali was not just an administrative and sociopolitical capital, but a vast network of energy collection and distribution points. Hence that symbolic phrase often used by our poets Abasizi, who say that the King's role was to "milk the sky", meaning that, through meditation and ritual, he was able to draw down spiritual energy as one draws milk from a cow. The inkongoro or "milk jug" used to draw this heavenly milk was the king's and priests' own hearts, while Mt Kigali acted as storage facility (igicuba). Gahoran Imaana, Kigari! Tuuje kweend imitima… Ng'Umwaami w'Urwand agir umutima. Ngw abagabo mu Rwanda bagir umutima. Ngw abagore mu Rwanda bagir umutima. Ngw inka mu Rwanda zigir umutima. Ngw Urwanda rwoose rugir umutima". (Translation)God be with you always, Kigari!We have come to obtain the hearts, That the King of Rwanda may have [an increase of] heart That the men of Rwanda may have [an increase of] heart That the women of Rwanda may have [an increase of] heart That the cattle of Rwanda may have [an increase of] heart. If we wish to celebrate the foundation of Kigali, we should celebrate its true foundation, by Chyiirima Rugwe, in the middle of the 14th century AD. We should first build a monument on the site of the old palace of Chyiirima Rugwe, on Mount Kigali itself, on and around which site his successors built their own palaces and temples and shrines. The landmarks are still there, visible to all, just as those which mark the sites of the other ancient cities, shrines and temples, burial grounds, etc. Any local inhabitant of Gasaabo, including the children, will indicate three or four of the half a dozen landmarks on this other sacred mountain. Go to the royal necropolis of Rutare, and any passerby will show you the old trees that marked the chapels and cemetery of the ancient kings. Any inhabitant of Buhanga bwa Nyakinaama will tell you that this place was the site of the city of Gihanga. And if you ask around, you will even locate a grandson of the old priest Komayombi, who, in the 1930s and 40s, was still discharging the duties of his office as chief ritualist for the shrine of Our Father Gihanga. Also extant, and highly visible, and very widely known indeed, are the famous Rocks Marks made by the Feet of Ruganzu Mutabaazi Ndoori, the most famous and grandest of our heroic Kings. Go to any site where those marks are to be found, and ask to see "Ibirenge bya Ruganzu" and the locals will immediately add — "N'amajanja y'Intoozo Ze", and the marks of the paws of His Hounds. Would you rather celebrate October (or November) 2007 as the 100th anniversary of the arrival in Kigali, of Dr. Kandt, the first of our colonial masters, or would you prefer celebrating "A 1000 years of Rwanda's History"? If you had a choice between honoring the site of Kandt's fist house in Kigali, and honoring the Landmarks of Chyiirima's Palace on Mount Kigali, which would you choose? Would you like the government to create a "National Ancient Landmarks Day", to honor and promote the above-described sites? It would be most surprising indeed if the people of Rwanda preferred Kandt to Chyiirima, agreed to the age of their capital being reduced to a mere century, and chose to celebrate other people's monuments instead of their own, under the false pretext that ours are not in stone, but in words. "Words, the sages say, are more durable than stones." Our history is enshrined in our narratives, in the words of our tradition. Through our narratives, we have managed to preserve our history better than many of those countries that had written texts and engravings and stone monuments. For stones and bricks and other material structures can be destroyed, but words will last for as long as there are brains and memories to house them, provided, of course, that no drastic disruptions occur to interrupt or impair the transmission and preservation systems. Rwanda seems to have been luckier than most in managing to preserve its narratives, enrich them and preserve their transmission lines. The celebration of the anniversary foundation of Kigali by that King of Wise Majesty, Chyiirima Rugwe, should offer ample opportunity to study our culture and history, but also to promote their preservation and enrichment. This history should also highlight the contribution of later centuries, especially its transformation into a modern-style city. Here, we should recall that Dr Richard Kant, a German explorer and later colonial administrator, built the first Western type house in Kigali. We should also recall that this gentleman was the first to localize the source of the Nile in the Nyungwe forest, and also the first to introduce coffee farming . Formal recognition may be awarded him for these achievements. But recognition for founding the Rwanda capital, Kigali, should be given to King Chyiirima Rugwe and his successors." "
BYUMA Faransisiko Saveri, azwi kuri bamwe nk’umwanditsi w’ikinamico wamamaye mu myaka ya za 1980 kubera amakinamico meza nka « Ibereho Nkindi » yanyuraga kuri Radio akanakinwa hirya no hino mu gihugu. 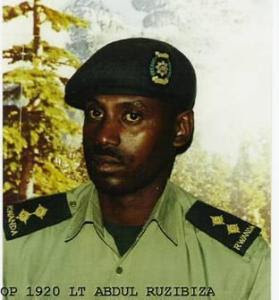 Kuri benshi ariko, BYUMA azwi nk’umuharanizi w’uburenganzira bw’ikiremwamuntu mu Rwanda rwa nyuma ya 1994, aho yagaragaye cyane mu buyobozi bw’imiryango yigeze iba ijwi ry’abatagira uruvugiro nka Liprodhor na Ldgl. Byuma yabaye kandi umwe mu bayobozi b’indi miryango myinshi nka Turengere Abana, Ibarwa (Ihuriro ry’Abanditsi b’u Rwanda) na Club Rafiki. Bwana Byuma yongeye kuvugwa mu mpera za 2004 ubwo yitandukanyaga na bagenzi be bo muri Liprodhor Leta ya FPR- Inkotanyi yari imaze kwambika umugoma w’ubugome witwa INGENGABITEKEREZO YA JENOSIDE. Byuma yagarutsweho by’akaminuramuhini vuba aha ubwo yitabaga Gacaca ya Biryogo ikamucumbikira muri Gereza ya Kigali, hanyuma akarekurwa by’amareshyamugeni « ngo ashyire ubwenge ku gihe » mbere y’uko kuri uyu wa 27 Gicurasi 2007 akatirwa kujya gufatira amasaziro muri Gereza ya 1930. Iyi nyandiko igamije kugaragaza muri make icyo ifungwa rya Byuma rihatse n’icyo risobanura muri gahunda yagutse Leta ya FPR Inkotanyi imaze kunononsora mu mugambi muremure yiyemeje mu cyo yita « kurema U Rwanda rushya ». Ndibanda ku ngingo eshatu z’ingenzi : kugaragaza uko nzi Byuma n’imyifatire ye ku bijyanye na « jenoside » ; icyo ntekereza ku rubanza rwa Byuma muri Gacaca ; amasomo y’ingenzi twavana muri uru rubanza rwa Byuma n’imikorere ya Gacaca muri rusange mu rubuga rwaguye rwa politiki ya FPR muri ibi bihe. Iyi nyandiko nyikoze mu Kinyarwanda kugira ngo ishobore kugera ku baturage benshi bari mu gihugu, bo bazi neza kandi babangamiwe bikabije n’imigambi mibisha ihishe mu kigare cya Gacaca. Nkuko nza kubigarukaho muri iyi nyandiko ndeba niba urubanza rwa Byuma rushimangira cyangwa ruvuguruza amatwara rusange Leta iriho iri gushyira mu bikorwa, Gacaca nyibonamo intwaro yo gusohoza inshingano 4 z’ingenzi Leta ya FPR Inkotanyi yiyemeje : (i) guhuma amaso amahanga ; (ii) kubiba amacakubiri mu Banyarwanda no gutsimbataza urwango rushingigiye ku irondakoko; (iii) gusiga icyaha abacitse ku icumu ; (iv) gucecekesha abashobora guca ikinyoma, ubwikanyize n’akarengane mu Rwanda. Icyo nifuza muri iyi nyandiko ni ugutanga umuganda mu gusesengura no kumvikanisha ibibazo bikomereye u Rwanda muri iki gihe, nkizera ko abo tubibona kimwe ndetse n’abo tubyumva ku buryo bunyuranye bagira iyi nyandiko imbarutso y’impaka nziza zimurikira Abanyarwanda n’abanyamahanga bifuriza U Rwanda n’abanyarwanda ibyiza. Mbere yo kujya kure, ndabanza kwisegura kubera impamvu ebyiri :. Impamvu ya mbere ni uko mfitanye na Byuma amabanga menshi kubera amajoro n’imitaga twabanye mu myaka cumi yose (1994-2004) duhujwe n’ubushake n’ubwitange bwo kurwanya akarengane, ubugome, urugomo, ubuhunahunnyi n’andi matakaragasi yabaye akarande mu Rwanda. Ibi bishobora gutuma ngira amarangamutima cyangwa uburyo bwo kumva ikibazo cye ku buryo bubogamye cyangwa bucagase. Impamvu ya kabiri ni uko Byuma yagize ibyago byo kugera hamwe urugamba ruhinyuza intwari, akemera kwambikwa ubucocero aho twari twarambariye inkindi duharanira ukuri n’ ubwisanzure mu mvugo no mu ngiro. N’ubwo bwose ndi mu bo Byuma yategetswe kwitandukanya nabo ngo tutamusiga ibara twari tumaze kwambikwa na Leta, sinigeze muhora izo ntege nke, kuko nzi ko agahwa kari kuwundi gahandurika kandi uhiriye mu nzu akaba ntaho apfa adapfunda imitwe. Ibi na none bamwe bashobora kubibonamo uburyo bwo kumwishongoraho kuko ageze mu mazi abira. Icyo nzi kandi nemera ni uko umugabo mbwa ari we useka imbohe, kandi uko umugabo aguye si ko ameneka. Kubera izo mpamvu zombi, uzasoma iyi nyandiko akabonamo ibitekerano binyuranye n’amahame yo guharanira ukuri, ubwisanzure, ubusabane n’ubutabera bibereye u Rwanda, mbaye mushimiye kuzabingaragariza kandi agatanga uwe muganda kuko twese nta ufite ibitekerezo « kamara ». Mbaye nshimiye kandi abazashobora kubona umwanya wo guhindura iyi nyandiko cyangwa kuyikorera incamake mu ndimi z’amahanga no kumenyekanisha ibiyikubiyemo. Mbaye kandi nifatanije n’uwazatotezwa azira kumenya,kumenyekanisha, gushima cyangwa se kugaya ibikubiye muri iyi nyandiko. Kuva mu myaka ya za 1980, Byuma yari umukozi wa Leta ushinzwe ibya « jumelage » muri Ministeri y’ubutegetsi bw’igihugu. Nyuma ya ‘jenoside’, iyo mirimo yarayikomeje kugeza mu mpera za 1994, aho yabaye umunyamabanga-nshingwabikorwa wa Liprodhor. Aha nakwibutsa ko Byuma ari mu banyamuryango b’ikubitiro -- barimo Rutihunza Theobald, Gakwaya Rwaka, Habimana Theoneste na Biramvu Jean Paul, Kanakuze Bernadette na Mukarutabana Bernadette-- bongeye kubyutsa Liprodhor yari imaze gutakaza abanyamuryango barenze mirongo itatu, bamwe bishwe n’Interahamwe nka Emmanuel Nsabimana alias Sagita wari Umunyamabanga Mukuru, abandi bazize Inkotanyi nka Mbabajende wari Umubitsi. Ni muri ibyo bihe natangiye gukorana na Byuma mu mirimo yo kurwanya urugomo n’akarengane . Hagati aho, Byuma yarafashwe ajyanwa kuri brigade ashinjwa iby’itsembabwoko n’itsembatsemba, ariko biza kugaragara ko uwo bavugaga ko yishe ariho ndetse ahubwo bikavugwa ko Byuma ari mu bamukijije. Byuma yararekuwe dukomezanya umurimo utoroshye watumye Liprodhor ijya ku isonga mu rugamba rwo kwamagana ibibi leta n’abambari bayo bakoraga no gutabariza abarenganaga. By’umwihariko, Byuma twakoranye mu bintu byinshi by’ingenzi byatumye mumenya neza kandi nkamenya aho ahagaze ku bibazo bijyanye na jenoside n’ibindi byaha bijyana nayo. Guhera mu mpera za 94, nagiye njya mu maperereza aho abaturage babaga bahohoterwa, tugakora amaraporo agashyikirizwa Byuma wari umuhuzabikorwa. Hagati ya 96 na 98, nabaye umukorerabushake (antenne bénevole) wa Liprodhor mu mugi wa Kigali, mfite umurimo wo guhuza ibikorwa byo gukora amaperereza ku ihohoterwa ry’abaturage, kwakira ibibazo byabo no gutabariza abo tubona bageraniwe bikabije. Mu bibazo twakozeho cyane harimo iby’abiciwe n’Inkotanyi, ifatwa n’ifungwa binyuranye n’amategeko, ibibazo by’abamburwaga amazu n’amasambu yabo ku maherere, n’ihohoterwa ryajyanye n’intambara y’abacengezi. Hagati ya 96 na 98 kandi, Liprodhor n’indi miryango igize Cladho hamwe na Kanyarwanda, yantoreye kuba Intumwa ihoraho ya société civile muri « Haut Commissariat des Nations Unies aux droits de l’Homme » yakoreraga mu Rwanda, aho nayoboye umushinga wo kwita ku bibazo by’abafungwa (abibuka amarorerwa yabereye mu magereza nk’iya Gitarama aho abagororwa bacitse amaguru abandi ibirenge bikabora kubera kurundanywa hamwe nk’imiba y’inkwi bakumva icyo twakoze icyo gihe). Muri 98, ubwo Leta yatangiraga gushyira mu bikorwa umugambi wayo wo kwigarurira amashyirahamwe yigenga, nakoraga muri Cladho nshinzwe ibyo gukurikirana imanza z’abaregwaga « itsembabwoko n’itsembatsemba » (ari byo bisigaye byitwa jenoside !). Icyo gihe twasohoye raporo yashyiraga ahagaragara ibibazo byari bibangamiye ubutabera, kimwe muri byo kikaba icyo twise –nako abagororwa bari barise- « UDUTSIKO TW’ABANYAMARIRA », ni ukuvuga abantu bishyiraga hamwe, kenshi b’abagore, mu gihe cy’icyunamo cyangwa se igihe hari abategetsi bakuru basuye ahantu, bakikora bakarira bati ‘‘dore uwatwiciye nguyu’’. Abibuka iby’ifatwa n’ifungwa by’umugabo Mabuye washakanye na Marie Claire Mukasine batubera abagabo mu marorerwa ya bene utwo dutsiko. Icyo gihe rero raporo yacu yaciye inka amabere, ibintu birayoba, nuko uwari amaze kubohoza Cladho icyo gihe, Bwana Dr Josué Kayijaho (mbere y’uko we n’umuryango we bamenya uko akarengane katavangura), ategeka ko Cladho itazongera kuba « ijwi ry’ interahamwe » . Icyo gihe ni bwo natangije muri Liprodhor mfatanije na Byuma umushinga kandi nywubera umuhuzabikorwa wo gukurikirana iby’imanza by’abaregwa itsembabwoko (CDIPG ou centre d’Information et de documentation sur les procès du génocide ). Uyu munshinga uri mu yatumye Liprodhor imenyekana cyane mu baturage no hanze nk’umuryango uvugira abatagira uruvugiro, aba ari nabyo biwubera imwe mu mpamvu zo kurushaho kwibasirwa na Leta. Guhera mu ntangiriro za 1999, Liprodhor yashyigikiye ‘‘candidature’ yanjye ku mwanya w’Umuhuzabikorwa wa LDGL, Byuma akaba yari ayibereye visi perezida. Kuva nagera kuri uwo mwanya, Ldgl twarayivuguruye iba ijwi ryumvikanisha akarengane kari mu Rwanda. By’umwihariko, njye na Byuma kuba twari muri Liprodhor na ldgl byatumye iyi miryango yombi iboneza ingamba kandi iba urugero n’umusemburo w’ubwisanzure mu yindi miryango yigenga kimwe n’ibinyamakuru by’abihanduzacumu nk’Umuseso na Le Partisan. Byuma kandi yabaye n’umuyobozi mu yindi miryango inyuranye, uw’ingenzi twabanyemo akaba ari ihuriro ry’abanditsi b’u Rwanda , IBARWA. Mu bikorwa byiza Ibarwa ikesha Byuma, harimo umushinga wo gukoresha amarushanwa hirya no hino mu mashuli abanza n’ayisumbuye, abana bagahabwa urubuga rwo guhanga inkuru zivuga iby’amarorerwa y’’intambara, ubwicanyi babonye cyangwa bumvise, guca umuco wo kudahana no gusana imitima. 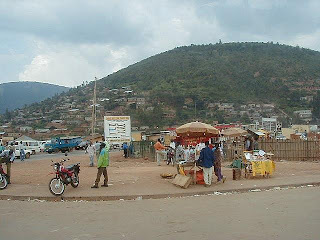 1° Mbere no mu gihe cy’intambara n’ubwicanyi bwibasiye Abatutsi hagati ya Mata na Nyakanga 1994, Byuma yari atuye mu nzu ye bwite mu Rwampala rwa Biryogo muri Kigali y’Umugi. Kubera ko ariho yakomeje gutura nyuma yaho Inkotanyi zifatiye u Rwanda, nta wavuga ko Byuma yigeze yihisha cyangwa ngo abamurega bayoberwe aho ari muri iyi myaka yose ishize. 2° Byuma nta bushobozi, ububasha cyangwa umwanya yigeze agira muri Leta ya FPR Inkotanyi byari gutera abamuzi ubwoba ku buryo yari kuba yaragize uruhare mu bwicanyi bakamuhishira cyangwa bagatinya kumurega. 3° Byuma yagaragaje kenshi ubutwari n’ubwitange mu guharanira ko habaho ubutabera buca umuco wo kudahana kandi bwirinda kurenganya abantu ku maherere. Nk’umwanditsi, yahanze inkuru n’amakinamico kandi ashishikariza urubyiruko gukora mu nganzo kugira ngo babwire ab’ubu n’abataravuka iby’amahano yagwiriye u Rwanda kandi banashishikarize abariho none kubana neza no komora ibikomere mu buryo bushyize mu gaciro kandi bwubaha uburenganzira n’ubusugire bwa buri wese. None se ibyo byaba byari uburyo bwo kwiyoberanya no guhishira ibyo yaba yarakoze ? Kuko nta muzindutsi wa kare watashye ku mutima w’undi, sinakwirenga ngo mpakane ko bidashoboka. Ariko rero uko nzi Byuma n’uko namubonye mu bihe binyuranye, kumukekera kuba mu bagizibanabi bitabiriye umugambi wo gutsemba abatutsi bizamba kure nk’ukwezi kugeza ubwo nzabona ikimenyetso simusiga cyemeza ibinyuranye n’ibyo nemera. 4° Nkuko mbigarukaho mu ngingo zikurikira, ibirego Byuma yarezwe muri Gacaca, abamushinje kimwe n’ibimenyetso byashingiweho mu kumucira mu buroko, hakiyongeraho ko imiryango yakagombye kumuvugira nkuko yabikoraga ku bandi kera ubu yose yicecekeye n’abagerageje kugira icyo batangaza bakabikora mu rufefeko badaserura ikibazo nyakuri (reba itangazo rya Ldgl), birushaho gushimangira amakenga mfitiye urubanza rwe na Gacaca muri rusange, bityo ngahamya ko Byuma ari umwere wongewe ku rutonde rw’inzirakarengane rusanzwe ari rurerure kandi ruzakomeza kwiyongera igihe cyose ikiguri cy’akarengane rushingiyeho kizaba kitararimburwa. Byuma, nkuko nabivuze haruguru, Gacaca si yo ya mbere yamukurikiranye kuko yari yarasogongeye ku karengane k’intsinzi akabasha kurusimbuka.Muri za 2001, Byuma yabonye urupapuro rumuhamagara kwitaba kuri brigade ya Nyamirambo rugira ruti « icyo uhamagariwe uzakimenyeshwa uhageze ». Icyo nibuka icyo gihe ni uko Byuma yitabye, ariko yagerayo bakayoberwa uwamutumiye. Hadashize kabiri, hari umuntu waje kureba Byuma, ati « dore mfite urupapuro rugutumira kuri Brigade ngo ufungwe, ariko ifungwa ryawe nta cyo rimariye ». Byuma yaba yaramubajije ati « ese ndazira iki ? ». Undi ati « ese ubona wabura icyo uzira ? Abafungiwe ubusa ugira ngo ni bake ? ». Bamwe mu babikurikiraniye hafi bemeza ko uwo muntu yaba yarasabye Byuma kumuha amafaranga, ngo yakwanga bakamumanura ayo mafaranga akazajya amugemurira. Njye ibyo nabwiwe na nyirubwite, ni uko yiyamye uwo muntu wamuteraga ubwoba yitwaje ko « yarokotse », ndetse akanamuregera abandi bantu ngo bamwiyame. Umwaka ushize, ubwo hatangiraga ikusanyamakuru mu rwego rwa Gacaca, Bwana Byuma yarahamagawe arisobanura imbere ya Gacaca. Mu byo yabajijwe icyo gihe harimo ibyo kwiga imbunda no kujya kuri bariyeri. Urubanza rwongeye gusubukurwa ku wa 13 Gicurasi 2007, Byuma yanga kuburana, Gacaca itegeka ko Byuma aba afunzwe by’agateganyo. 3.2. Kuki Byuma yanze kuburana muri Gacaca ? Ahamagawe kuburana muri Gacaca ku wa 13 Gicurasi 2007, Byuma yanze kuburana asobanura ko hari impamvu zituma asanga ataburanishwa n’inteko iyobowe na Bwana Sudi Imanzi kuko nta kizere cyo kutabogama amufitiye. Byuma rero yasabye ko Sudi Imanzi ataba mu bamuburanisha nk’uko amategeko abiteganya. Nk’uko Byuma yabisobanuriye urukiko Gacaca kandi tukaba tunabisanga mu itangazo ryashyizwe ahagaragara n’ishyirahamwe TURENGERE ABANA—Byuma abereye Perezida, Turengere Abana yari yarakoze iperereza kuri Perezida w’inyangamugayo za Gacaca ya Biryogo, Bwana Sudi Imanzi, imushinja ko ku itariki ya 27 werurwe 2007, yafashe ku ngufu ‘‘umwana w’umukobwa witwa Walida INGABIRE, ufite umubyeyi witwa Dancilla, akaba n’umunyeshuri mu mwaka wa 2 secondaire kwa Kadafi, batuye mu mudugudu wa Gacaca, Akagali ka Rwampara’’ akarara ‘‘amusambanya kugeza aho iwabo mu gitondo babimenyeye bucyeye’’. Iryo tangazo rya Turengere Abana ryemeza ko ‘‘Sudi IMANZI yaje gufungwa hanyuma aza gufungurwa nyuma y’iminsi itatu’’, idosiye ngo ikaba yari iri kwa procureur. Kuba ‘‘uwo mwana ukomoka mu kagali ka Rwamampara, Perezida wa Turengere Abana atuyemo, ari nawe wikurikiranira iyo dosiye, nawe Sudi IMANZI yahagurukiye kumupangira ibyo kumufunga yitwaje gacaca abereye Perezida, kandi akaba atavuguruzwa mu byemezo aba yagambiriye gufata muri izo manza za gacaca’’. Ashingiye kuri izo mpungenge, Byuma yasabye ko Sudi Imanzi ataba mu bamuburanisha. Byuma yanongeyeho ko Sudi Imanzi bafitanye ibibazo by’umwihariko kuko hari ‘‘ihabara’’ rya Sudi ryateye mu rugo rwa Byuma rigakubita umugore we ku itariki ya 7 Mata 2004. Byuma amaze kuvuga impamvu zimubuza kuburana, inteko ya Gacaca iyobowe n’uwo Sudi Imanzi ubwe, yariherereye ifata icyemezo ko ibyo Byuma yasabye nta gaciro bifite. Nkuko uwaregwaga ari na we waregerwaga, Gacaca yategetse ko Byuma aba afunzwe by’agateganyo, urubanza rwe rukazakomeza ku wa 20 Gicurasi 2007. Byuma bahise bamuta muri yombi bamumanura muri Gereza ya 1930. Mu itangazo ryashyizwe ahagaragara n’ishyirahamwe ryitwa CDHR (Coalition des Défenseurs des Droits Humains au Rwanda ) uwo munsi, ryemezaga ko ryasabye inzego zibishinzwe gukurikirana iby’icyo kibazo kandi ko impungenge zabo bazigejeje ku Umunyamabanga Nshingwabikorwa w’inkiko Gacaca, Mukantaganzwa Domitilla, n’umwe mu bakozi b’Ishami Rikuru ry’Ubushinjacyaha, bombi bakaba bari bemeye kugira icyo babikoraho. Ku wa 20 Gicurasi urukiko Gacaca rwongeye guterana noneho Byuma yemera kuburana. Byuma yarezwe ibyaha birimo kujya kuri bariyeri ; kwiga kurasisha imbunda ;gutunga imbunda ;kukora amalisiti y’abatutsi bicwa, kujya mu bitero ;gukubita no kujyana uwitwa Batamuliza ku biro bya Segiteri ngo yicwe. Mu kwiregura, Byuma yisobanuye kuri buri ngingo. Yemeye koko ko yagiye kuri bariyeri nkuko byari bitegetswe kandi n’ubu akaba ariko bimeze, icyakora avuga ko nta muntu wigeze yicirwa kuri bariyeri ahari. Yavuze ko yagiye mu nama y’umutekano, asanga uwitwa Simbizi wo muri CDR ari kwigisha imbunda, bituma atongera gusubira muri bene izo nama. Yahakanye ko atigeze atunga imbunda mu rugo rwe, ko atigeze ajya mu bitero kandi ko kumugerekaho gukora amalisiti y’abatutsi bicwa ari ikinyoma cyambaye ubusa. Ku bya Batamuliza, Byuma yasobanuye ko uwo mukobwa yari yihishe ku witwa Haluna, hanyuma interahamwe y’icyamamare yitwa Anatole yajya kumushakayo ngo imwice, Haluna agahuruza abaturanyi barimo Byuma. Byuma yavuze ko bakoze ibishoboka ngo bakize uwo mukobwa, nuko basaba ko yakoherezwa ku muyobozi wa Segiteri, Amuli Karekezi wari na muramu wa Batamuliza. Ibyo ni nako byagenze aba ari naho Batamuliza yarokokeye. 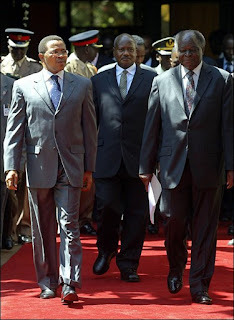 Iburana rirangiye, urukiko rwategetse ko Byuma afungurwa akazasomerwa ku wa 27/5/2007. Ku itariki ya 27 Gicurasi 2007, urukiko Gacaca rwa Biryogo rwasomye urubanza rwa Byuma na bagenzi be babiri, Mugoboka Shinani na Aloys Ndabarinze. Urukiko Gacaca rwemeje ko rusanze Mugoboka Shinani na Aloys Ndabarinze ari abere. Gukubita Batamuliza no kumujyana kuri Segiteri ngo yicwe. Urukiko rwemeje ko Byuma ahamwe n’icyaha cyo kugira uruhare muri jenoside bityo rumukatira gufungwa imyaka 19 . Byuma yahise atabwa muri yombi asubizwa muri Gereza ya 1930. yavuze ko ajuriye, urubanza rw’ubujurire rwa Gacaca rukaba ari rwo ruzagena igihe azaburana nkuko biteganywa n’itegeko Gacaca n° 16/2004 ryo ku wa 19 Kamena 2004 nkuko ryahinduwe vuba aha muri Werurwe 2007. Urubanza rwa Byuma ni indorerwamo nziza y’umugambi mubisha wo gutsimbataza akarengane no guhonyora uburenganzira ndemashingiro n’agaciro ka Muntu mu izina ry’ubutabera na jenoside. Ibi turabisobanura mu ngingo ebyiri : Amasomo yo kwigirwa ku rubanza rwa Byuma ; na Gacaca nk’intwaro ya politiki ishimangira akarengane. 1° Agatsiko karenganya mu izina ry’abaturage. Gacaca aho kuba ubutabera bushingiye ku baturage, byagaragaye ko yabaye akarima k’agatsiko gato k’indakoreka nkuko bigaragarira ku budahangarwa bwa Bwana Sudi Imanzi. Kuba umuburanyi yihana umucamanza uyoboye Gacaca ku mpungenge zumvikana, uwo mucamanza akanangira akaba ari we ukomeza kuyobora urubanza, ni igitutsi ku baturage b’u Rwanda muri rusange bitirirwa ubutabera bubakandamiza, hagafatwa ibyemezo mu izina ryabo badafitemo uruhare n’ijambo. Mu gihugu cyabayemo ubwicanyi bwibasira abatutsi ku mugaragaro, hakaba ababwitabira bashishikaye ndetse babibonamo ishema, iyo ufashe umuntu nka Byuma ukamuhimbira ibyaha bikabije nko gukora amalisiti y’abagombaga kwicwa, wabiburira ibimenyetso ugahatiriza ko hari uwo yashatse kwica bikamunanira, nta gupfobya itsembabwoko birenze ibyo. Nkuko urugero rwa Batamuliza rubigaragaza kandi, abacitse ku icumu Leta ya FPR n’abambari bayo babafata nk’udukinisho two kujyana iyo bashatse, ku buryo badashobora no gutinyuka kuvuga ko hari uwabagiriye neza mu gihe bari bugarijwe. Kubona umuntu akuvana mu maboko y’interahamwe nka Anatole akakugeza ku muntu ushobora kukurengera ndetse bikakuviramo amahirwe yo kurokoka, hanyuma ugahamagarwa ngo ushinje uwo muntu kuba yaratumye ugera aho warokokeye, ibyo koko si ukwica umuntu kabiri ? Ni uko nyine abanyarwanda guhahamuka twamaze kubimenyera, naho ubundi ibyo Gacaca ikorera cyangwa ikoresha abacitse ku icumu ni iyicarubozo rirenze uruvugiro. Ikindi gitangaje, ni uko mu byaha Gacaca ya Sudi yemeje Byuma harimo gukubita Batamuliza, nyamara nkuko tubisanga mu itangazo rya LDGL ryo ku wa 28 /5/2007, Batamuliza ntiyigeze avuga ko Byuma yamukubise. Urukozasoni na none ni icyo Gacaca iriho yita kwirega no kwemera icyaha n’amareshyamugeni akabije ahabwa abiyemeje kuyoboka iyo nzira mu gihe abanze kwirega ibyo batakoze bahabwa ibihano byihanukiriye. Ni ko byagenze muri uru rubanza : Byuma yahakanye ko atigeze yiga imbunda icyaha kirarenga kiramuhama, mugenzi we Aloys Ndabarinze yemera ko yakoze imyitozo yo kwiga imbunda ndetse atunga grenade, ariko urukiko ruhamya ko rusanze ari umwere ! Ese mama kuba umwere byaba bisigaye bivuga kwemera ibyo uregwa, icyaha kikaba guhakana ? ntibitangaje ko Gacaca – kimwe n’ubundi bucamanza bwayibanjirije mu Rwanda rw’Inkotanyi- iha amahirwe yo kuburana abahisemo kwemera ibyo bakoze cyangwa abibeshyera ibyo batakoze, mu gihe inzirakarengane zikomeza kuborera muri Gereza zizira guhakana umugoma w’ubugome zitigeze. 4° Ngo uwasuze agirwa no kunutsa ? Mu gihe tuvuga iby’akarengane kagwiririye Byuma, bamwe baragira bati ‘‘awa ! Niyumve !’’, abandi bati ‘‘ yahawe amahirwe ayapfusha ubusa, ntakagire uwo yitakana’’. Ibyo ni bimwe nasomye mu nyandiko nohererejwe muri aya masaha 48 ashize. Abagira ngo ‘‘awa !’’, ni abanenga Byuma ko yatije umurindi akarengane kadukanywe na Gacaca y’iki gihe. Bashingira ahanini ku byabaye kuri Liprodhor yatwererewe ibifitirano by’ingengabitekerezo ya génocide Byuma akaba mu babihaye umugisha. Bashingira na none ku byatangajwe na Byuma ku maradiyo mpuzamahanga ubwo Gacaca zatangiraga inkubiri yo gukura abantu umutima i Butare abaturage bagahahamuka bagahungira i Burundi aho Inkotanyi zihutiye kubacyura ku ngufu (nkuko zisanzwe zibimenyereye). Icyo gihe Byuma yatangaje ko Gacaca zikora neza ko kandi abazihunga abona nta mpamvu bafite. Abagaya Byuma ko yahawe amahirwe akayapfusha ubusa bo, basanga kuba yarahamagawe mu gihe cy’ikusanyamakuru hanyuma akaza gufungwa agafungurwa, kwari ukumucira amarenga ngo yibwirize, amenye ikimuhatse, agishe inama amazi atararenga inkombe, kandi nibiba ngombwa areke « kunangira », yemere ko « yatsinzwe n’icyaha » abisabire imbabazi nk’abandi bose. Aba basanga by’umwihariko kuba yaratinyutse gushyira mu majwi inyangamugayo yujuje ibyo Leta ishaka nka Sudi Imanzi ari ikosa rikomeye agomba guhanirwa by’intangarugero. Ikindi kivugwa ni uko iyo Byuma yemera ko « yatsinzwe n’icyaha » akanabisabira imbabazi inzira zikigendwa, yari kuba yorohereje Leta mu nzira yo gucecekesha abakomeza kubeshya ko umuntu ashobora kuvuka mu ndiri y’abicanyi ntiyokamwe n’icyo cyaha : ‘‘Utarishe yagize ngo ‘awa’’, wa mugani wa Senateri Mugesera, « n’utaragize amahirwe yo kuba aho bica afite ingengabitekerezo yo kwica », nkuko umwe mu banyandikiye yabimbwiye. Ngiyo ivanjiri Byuma atamenye. Imizi shingiro y’iyo vanjili nshya mu Rwanda n’ingaruka zayo ni zo tugiye gusorezaho iyi nyandiko. 4. 2. Iyi Gacaca iratujyana he ? Urugero rw’urubanza rwa Byuma twibanzeho muri iyi nyandiko, si rwo rukabije mu ziranga akarengane , yewe nta n’ igishya kirimo uretse ko we yahawe amahirwe abenshi batagira yo kumenya icyo aregwa n’abamurega abo ari bo. Gusa rero urwo rugero nanone rugaragaza isura nyakuri ya Gacaca muri rusange nkuko igenda yigaragaza hirya no hino mu gihugu. Ni yo mpamvu urwo rugero ari rwo twifashishije mu kugaragaza icyo dutekereza kuri Gacaca muri rusange mu ngingo enye zikurikira. Umuntu ushaka kumva neza amateka y’iyi Gacaca iri guca ibintu, hari ibintu bitatu by’ingenzi agomba kwibuka, utari abizi akabimenya. Icya mbere ni uko Leta ya FPR Inkotanyi ikijyaho yamaganiye kure igitekerezo cyo kwitabaza Gacaca ya kinyarwanda mu guca amahano yari amaze kugwira u Rwanda. Icyo gitekerezo cyari cyadukanywe na Minisitiri w’ubutabera, Alphonse Mariya Nkubito mu kwezi kwa Kanama 1994. Icyo gihe abambari b’Inkotanyi barirenze bararahira ko guha urubuga Gacaca byaba ari ugupfobya itsembabwoko n’itsembatsemba. Kumenya uko FPR yaje guhindura imvugo n’ingiro ni byo bidufasha kumva neza Gacaca y’iki gihe aho ituganisha, iyo ikaba ingingo ya kabiri tugomba kwibukiranya hano. Iyi Gacaca turimo twibuke ko yatangiriye mu Rugwiro, yadukanywe n’uwari mu mwanya wa Perezida wa Repubulika, Bwana Pasteur Bizimungu. Ku babyibuka neza, ibyo byabaye mu gihe Bizimungu Pasteur yari amaze gutangaza ku mugaragaro ko « Abahutu bose bagize uruhare muri genocide’’, bityo bakaba bagomba kubisabira imbabazi. Bizimungu yahuje imvugo n’ingiro, atangiza gahunda yo gusaba imbabazi ku Gikongoro, atanga kandi urugero rwo gushyira iyo gahunda mu bikorwa ahereye kuri Musenyeli Misago ati ‘‘n’iyo yaba umwere, Papa azamujyane ahandi’’. Iyo mikorere ya Gacaca kandi uko yaganirwagaho mu Rugwiro, ni nako hatangwaga ingero zo kuyishyira mu bikorwa. Urugero Bizimungu yayoboye ubwe ni urw’umusaza Nkeramugaba watinyutse gukoma rutenderi, agasaba ko Gacaca yari igiye kujyaho yahera ruhande ikavuga ibibazo byose by’u Rwanda kuva ku muzi, Lunari ikabazwa ibyayo, Parmehutu ikabazwa ibyayo, n’abandi bagakurikiraho. Ibyari inama byahise biba isoko, abashyashyariza bashyira akarimi hejuru, umusaza bamuta muri yombi aruhukira muri 1930 ari naho yaje kugwa. Ngiyo Gacaca yemerejwe mu rugwiro. Ngiyo « inzira y’ukuri n’ubwiyunge » Gacaca y’ubu yigisha : Hariho ibigomba kuvugwa n’ibitagomba gutinyukwa, hari abagomba kuvuga abandi bakikiriza, hariho abagomba gushinja abandi bagakoma amashyi, hari abicanyi bagomba guhanwa n’abagomba kugororerwa, hari abagomba kurengana no kurenganya, ubuzima bugakomeza. Icya gatatu kitagomba kwibagirana ni uko iyi Gacaca iciye ukubiri na ya Gacaca gakondo ba Nkubito batekerezaga ari nayo FPR yanze. Iyo Gacaca ubundi yabaga ishingiye ku baturage ubwabo, bagahurira muri Gacaca bacoca amagambo kandi bifuza kongera kubana. Ibyo byakorwaga mu bwumvikane kandi mu bwisanzure, nta mutegetsi ubotsa igitutu. Gusaba imbabazi no gutanga icyiru, kimwe no gutanga imbabazi, byavaga ku bushake bw’abantu, nta mutware washoboraga kubitegeka. Iyo ibyo byabaga binaniranye, ni bwo imanza zatangiraga, zikajya mu batware, byarandagatana zikagera i Bwami. Iyi Gacaca ya FPR yo rero aho ibera agahomamunwa, ni uko abaturage batayigiramo ijambo, ari abaregwa, ari abagiriwe nabi, bose bategekwa gukora icyo Leta ishatse, ufite ‘sentimenti’ akazishyira mu kabati wa mugani wa mwene Rutagambwa. Nkuko rero byagiye bigaragara, buri gihe uko Leta nako agatsiko kigaruriye Leta uko gasanze iyi Gacaca itari gukora ibiri mu nyungu zako, kihutira guhindura itegeko. Nguko uko ubu tugeze ku itegeko rya gatanu cg rya gatandatu rigenga Gacaca, iriherutse rikaba ryarahinduwe muri Werurwe 2007. Nkuko iryo tegeko rishya ribiteganya, ubu umwicanyi Ruharwa wamaze abantu, agomba kurekurwa akigira iwe, apfa gusa kuba azi kuvuga isengesho ryo kwicuza ibyaha nkuko ryanditswe na Gacaca ya FPR Inkotanyi : « Ibyo nshinjwa byose ndabyemera, kandi mbisabiye imbabazi ». Ubu biravugwa ko iryo sengesho hari n’abiyemeje kurigira iryabo, kabone n’iyo baba baregwa ibyabereye ku Mulindi wa Byumba bo bageze ku Rusizi berekeza iya Zayire. Ikirushaho gutera agahinda, ni uko iyi leta ya FPR iha ba Ruharwa amahirwe yo kwidegembya mu maso y’abo basize iheruheru no guharabika abageragezaga kubakoma imbere mu gihe cy’ubwicanyi, igahindukira iti « abacitse ku icumu bari mu mazi abira kuko ababiciye bagifite umugambi wo kubamara ». Mbese nimutekereze nka Byuma ugomba gufungwa imyaka 19 kuko yaba yaragize uruhare mu gutuma Batamuliza agera aho yarokokeye, none bikaba byitwa ko yashatse kumwicisha bikamunanira !. Buriya kandi wasanga nka ya nterahamwe Anatole yari igiye gutsinda Batamuliza kwa Haluna iri mu bazitahira bakajya kurangiriza igihano nsimburagifungo mu Biryogo, kandi ibyo Batamuliza akaba nta cyo ashobora kubikoraho ! Iyi gacaca rero ni intwaro yo guhuma amahanga amaso, ikambikwa umwambaro w’ubucamanza, kandi ari umugambi mubisha wo kubuza abaturage amahoro n’amahwemo. Guhuma amahanga amaso si cyo kibi kiruta ibindi mu byo Gacaca ikora. Igikabije kurushaho ni uko iyo Gacaca ari igikoresho cyo kubiba amacakubiri no gutsimbataza urwango rushingiye ku ivanguramoko mu Rwanda. Ibya Byuma na Batamuliza, uko byaba byaragenze kose, ni urugero rusobanutse rw’uyu mugambi mubisha. Reka mbibutse ko muri uru rubanza, ari Haluna wari uhishe Batamuliza mbere yuko Interahamwe zimuturumburayo, ari Amuli Karekezi « wamuhishe » iwe, ari na Byuma bivugwa ko ari mu batumye Batamuriza agera kwa Karekezi, bose icyo babazwaga ni ukumenya impamvu Batamuliza yageze kwa muramu we Karekezi, ukaba wagira ngo kuba yararokotse ubwabyo ni icyaha ababimufashijemo bagomba kuryozwa. Aha rero ni ho mbona umugambi mubisha wo kubiba amacakubiri n’urwango rushingiye ku moko : Kwemeza ko mu Rwanda rwa 94 hari ibipande bibibiri : Abahutu bagombaga kwica n’Abatutsi bagombaga kwicwa. Muri urwo rwego, kuba umututsi wacitse ku icumu yatinyuka kuvuga ko hari undi muntu wundi utari FPR wamukijije, ibyo ni umuziro. Nta muntu ugitinyuka kubivuga. Nkuko twabibonye muri iyi minsi aho abantu bamwe bahatiwe cyangwa bagashishikarizwa kwihenura kuri Rusesabagina, uwo mwera waturutse i bukuru ni wo ntero muri Gacaca. Ikibabaza rero ni uko abacitse ku icumu, dore ko benshi ari na ba nyakamwe batakigira n’urwara rwo kwishima—ureke ba bashinyaguzi bavuga ko abatutsi bose bari mu ntsinzi--, usanga bari mu gihirahiro, abahutu bati « ubu uyu aje gutara amagambo ashaka uwo abeshyera’’, bene intsinzi bati ‘‘uyu mukenya ntacyo yarokotse kubera ko ntaho yari atandukaniye na bariya bicanyi, ni yo mpamvu adashaka kubashinja ngo tubakanire urubakwiye ». Iyo bikubitiyeho ko hari inzirakarengane zitabarika zagiye zigwa mu buroko izindi zikaba ziboreramo mu gihe abicanyi bamenye kuvuga vuba rya shengesho rya FPR ryo kwicuza ibyaha bidegembya ku misozi abandi bakaba bari gukama ibya Leta y’ubumwe kugeza igihe « dosiye » yabo izuburirwa—nka General Munyakazi n’abandi barira ku mpembyi. Ikirushaho gutera agahinda ni uko usanga abahutu bari baragerageje gutabara no guhisha abatutsi bahigwaga usanga ubu ari bo bibasiwe muri Gacaca, ukaba wagira ngo abagambiriye kumara abatutsi n’abayoboye iyi Gacaca bahuje umugambi. Uko biri kose, nubwo Gacaca bivugwa ko ari ubutabera bwunga, urwango n’urwikekwe iri kubiba mu Rwanda tuzabitabarwa n’Imana y’i Rwanda yonyine. Urwango n’urwikekwe Gacaca ibiba hari uwakwibaza ati « ese hari uwo bifitiye inyungu ? ». namusubiza nti « arahari ». Uwo bifitiye inyungu ni utifuza ko hari umunyarwanda n’umwe utinyuka kuvuga ko ari « umwere », ari « intungane », nta maraso y’abanyrwanda afite ku ntoki. Nkuko politiki FPR ishyize imbere ari uguhamya ko abahutu bavukanye « ingengabitekerezo » yo gutsemba abatutsi, ni nako ishaka kumvikanisha ko ubwicanyi n’akarengane abambari ba FPR bakoze kandi bagikomeza biri mu nyungu z’abatutsi muri rusange, n’abacitse ku icumu by’umwihariko. Uyu mugambi mubisha wo gusiga abatutsi bose n’abarokotse by’umwihariko icyaha, uhwanye neza neza na wa mugambi w’abibeshyaga ko kurimbura abatutsi ari yo ntsinzi yo gutsimbataza « pawa » y’abahutu. Nk’uko ibikorwa by’Interahamwe n’abari bazihishe inyuma byasize ibara abahutu muri rusange, ni nako FPR Inkotanyi igerageza gusiga ibara abatutsi n’abacitse ku icumu by’umwihariko kugira ngo ibuze abanyarwanda bazima amahirwe yo kwisuganya ngo bubake u Rwanda rushingiye ku neza, ukuri, ubutabera n’ubusabane. Kuba leta ya FPR ihitamo gufungura no gukingira ikibaba abahutu b’abicanyi Ruharwa ahubwo ikagira abacitse ku icumu ibikoresho byo kwihenura, kubeshyera no kwitaza abo basangiye akabisi n’agahiye, ni ubugome burenze urugero umunyarwanda wese ukunda u Rwanda agomba guhagurukira kurwanya yivuye inyuma. Uyu mugambi mubisha na none ushingiye kuri politiki y’ikinyoma, ubwikanyize n’akarengane. Ni politiki y’agatsiko k’abidishyi kibeshya ko gashobora kurama ku ngoma gakoresheje iterabwoba, guha imyanya indirakarame, abahunahunnyi n’ibinnyeteri no kuburizamo uburyo bwose abanyarwanda bashobora kwibohora bakagira ijambo mu gihugu cyabo. Iyo politiki iyo urebye neza usanga ubu iri mu igerageza rya gatatu. Mu muzo wa mbere, FPR yibwiraga ko koko « ingabo zibuze umutware zitwa impehe ». Ibi byatumye FPR ibanza kwihutira guhitana cyangwa kwigarurira abantu yabonaga ari « urumuri » rw’abaturage, nk’abanyapolitiki, abanyamadini, abanyamakuru n’abavugizi b’imiryango itegamiye leta. Mu muzo wa kabiri, FPR yasanze ibyo bidahagije, nuko itangiza gahunda yo gucuranurira abanyarwanda bose mu muryango wayo ku ngufu. Bivugwa ko ngo yashoboye gutanga amakarita miliyoni eshatu n’ibihumbi magana inani, amakuru amwe agahamya ko Ruhengeli ya Rucagu Boniface yaje ku isonga 87% by’abaturage bakayoboka FPR ! Icyaje gutungura abantu benshi ariko, ni uko nyuma y’amatora aho ngo 95% b’abanyarwanda berekanye ko bakunda « Mzee Kijana », abo bakunzi ba « Mzee kijana » abenshi bongeye gushyirwa ku munigo hirya no hino, bivugwa ko ingengabitekerezo ya genocide iri gukwirakwira mu gihugu cyose. Ababikurikiranira hafi basanga mu by’ukuri FPR yaraguye mu mutego yiteze ubwayo aka wa mugani w’isuri isambira byinshi igasohoza bike. Kubera ko FPR ari umuryango w’Inkotanyi, Inkotanyi bikaba bifite icyo bivuga n’icyo bigamije, Inkotanyi nyakuri izi z’amarere zatewe ipfunwe no kubona « abavukanye ingengabitekerezo yo kwica abatutsi » babyina intsinzi batazi amavu n’amajyo, bati « ibi ntidushobora kubyihanganira ». Uyu rero ni wo muzo wa gatatu Gacaca iri gusohozamo umugambi wihariye wo guheza ku mugaragaro igice kinini cy’abanyarwanda, bakaba abagererwa n’indorerezi mu gihugu cyabo. Aha hantu harakomeye kuko hahishura aho Gacaca ituganisha. Aha hantu harakomeye kuko hahishura impamvu icyitwaga « itsembabwoko n’itsembatsemba » ubu cyiswe « jenoside ». Aha hantu harakomeye kuko hahishura icyo amategeko y’icyaduka ahana « amacakubiri » n’ « ingengabitekerezo ya jenocide » ahatse. Aha hantu harakomeye kuko hasobanura impamvu amategeko agenga Gacaca akomeza guhindagurwa hato na hato. Aha hantu harakomeye kuko hasobanura impamvu ubuyobozi bw’inkiko Gacaca butangaza imibare yegereye miliyoni y’urutonde rw’abagirizwa « jenoside ». Aha hantu harakomeye kuko hahishura impamvu Minisitiri Fazil Harerimana—uriya wibeshyeye ngo nta dosiye afite muri Gacaca ngo nta n’iyo azagira !—atinyuka kuvuga ko mu Rwanda ibihumbi magana inani by’abakoze jenoside na miliyoni z’imiryango yabo babangamiye abacitse ku icumu. Aha hantu harakomeye kuko hasobanura impamvu abantu bashishikarizwa kwirega no kwemera icyaha ari abagikoze ari n’abatagikoze. Aha hantu harakomeye kuko hasobanura impamvu abambikwa umugoma wa jenoside, amacakubiri n’ingengabitekerezo, bazatakaza uburenganzira ndemashingiro bw’abaturarwanda, ntibazongere gutora no gutorwa cyangwa kugira uruhare rugaragara mu buzima bw’igihugu cyabo. Aha hantu harakomeye kuko hasobanura impamvu ubu u Rwanda rwatewemo imirwi ine itagize icyo ivuze mu mateka y’abanyarwanda, umuntu ntabe akimenya izina ry’umusozi avukaho. Aha hantu harakomeye kuko ariho hari ipfundo ry’umuzi n’umuhamuro w’ijambo Kizigenza muri FPR Inkotanyi aherutse gutangariza i Murambi y’ahahoze hitwa Gikongoro agaragaza agahinda n’ishavu adateze gukira kubera miliyoni z’abaturage « zone Turquoise » yamubujije kwica. Aha hantu harakomeye. Aha hantu harakomeye. Nongere mbisubiremo : Aha hantu harakomeye. Mu gusoza, nakongera nkibutsa ko urubanza rw’urukozasoni rwa Byuma Faransisiko Saveri ari umutonyi mu nyanja y’akarengane Gacaca iri gutsimbataza mu Rwanda. Iyo Gacaca biragaragara ko intego yayo nyakuri ari uguca abanyarwanda mo ibice ngo batabasha gushyira imbaraga zabo hamwe mu komora ibikomere basigiwe n’intambara n’ubwicanyi bunyuranye n’andi mahano yayikurikiye yatumye u Rwanda rwamamara ku isi yose nk’igihugu cyokamwe n’imyiryane, ivangura, ubwicanyi n’ubukene.. Uwo mugambi kandi ugamije kubuza abana b’u Rwanda guhuza imbaraga zabo ngo bikize ingoyi y’ikinyoma n’igitugu ya FPR Inkotanyi ikeneye gukomeza gukingira ikibaba abagome barimo ba Nyirabayazana b’urugogwe rwagwiriye u Rwanda kuva muri 90, no kuva ku wa 6 Mata 1994 by’umwihariko. Uyu mugambi ububisha bwawo burakataje kuko uko bwije n’uko bukeye ugenda urushaho gusiga icyaha abantu benshi, bityo ukabagira ingwate. Ari abacamanza bagirwa ibikoresho byo kurenganya bagenzi babo basangiye gupfa no gukira, ari abacitse ku icumu bategekwa kubana n’ababahekuye nyamara bagashishikarizwa kwitandukanya no kwihenura ku babarwanyeho mu bihe by’amashiraniro, ari abatangabuhamya bashorwa mu kubeshyera no gushyashyariza inzirakarengane, ari abahitamo kwinumira ngo bucye kabiri, abazarokoka uwo mugambi mubisha ni mbarwa. Nkuko nkunze kubivuga, u Rwanda rugiye kuzasigara ari indiri y’udututsi nzingiza n’uduhutu ncancama tubereyeho gukeza ingoma y’ubwidishyi. Kubera ko ibyago by’u Rwanda FPR yabigize inzira y’ubusamo yo gutera imbabazi mu maso y’amahanga kandi kurwanya akarengane imaze gutsimbataza mu Rwanda bigasaba ibitambo, ba Mporebucye, Ndihakiwe, ntibindeba na Mpemukendamuke bazakomeza kuba benshi. Gusa rero, ingero ititi n’agasani- n’urwa Byuma rurimo- zitugaragariza ko nta urenga icyo azira : akarengane ntikarobanura. Nanjye nkunga mu rya Gacamigani nti « N’AKATARAZA KARI INYUMA ». Français: Un professeur d'université et directeur de journal arrêté País/Tema: RwandaFecha: 23 de febrero de 2007Fuente: Journaliste en danger (JED) Persona: Idesbald ByabuzeVictimas: fotógrafo(s) Tipos de violaciónes: arresto , detenido Urgencia: Noticia urgente (JED/IFEX) - On 23 February 2007, the Gikondo local court in Kigali ordered the 30-day detention of Bukavu Catholic University (CUB) professor Idesbald Byabuze, who is also director of the newspaper "Mashariki News", published in Bukavu, South-Kivu province's main city, in eastern Democratic Republic of Congo. 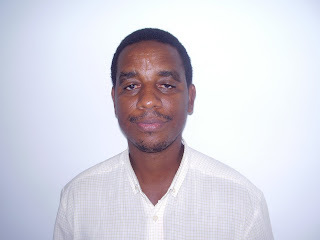 Byabuze was arrested in Kigali on 16 February by the Rwandan police, while he was teaching a course at the Private International University of Central Africa (UNILAC). According to his lawyer, who was contacted by JED, he is accused of "segregation, sectarianism and threatening national security" for publishing, on the Internet, an article entitled "Rwanda Alert", in which he severely criticised the Rwandan authorities. On 12 February, Byabuze, a professor at the CUB, had gone to Kigali to teach lessons at UNILAC. It was as he was giving a course that police arrested him. He was first placed in detention at the Gikondo public prosecutor's office, before being taken to appear before the court. 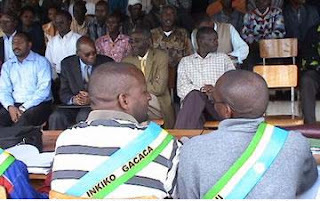 According to Rwandan law, the offence of "segregation, sectarianism and threatening national security" falls under the jurisdiction of the High Court of Justice (the highest court of law in Rwanda). If Byabuze is found guilty, he faces up to 20 years in prison without parole or the possibility of appeal. (JED/IFEX) - Le Tribunal de base de Gikondo, à Kigali, capitale du Rwanda, a ordonné, vendredi 23 février 2007, la détention pour une durée de 30 jours, à la prison centrale de Kigali, de Idesbald Byabuze, professeur à l'Université catholique de Bukavu (UBC) et directeur du journal "Mashariki News", paraissant à Bukavu, chef-lieu de la province du Sud-Kivu, à l'Est de la RD Congo. Arrêté à Kigali, vendredi 16 février, par la police rwandaise pendant qu'il donnait un cours à l'Université Internationale Libre d'Afrique Centrale (UNILAC), Byabuze est accusé, selon son avocat contacté, vendredi 24 février par Journaliste en danger (JED), de "ségrégation, sectarisme et atteinte à la sûreté intérieure de l'Etat rwandais", pour avoir publié sur Internet en 2004, un article intitulé "Alerte Rwanda" dans lequel il critiquait sévèrement le régime rwandais. Professeur à l'Université Catholique de Bukavu, Byabuze s'était rendu, lundi 12 février à Kigali où il assure des enseignements à l'UNILAC. C'est au moment où il donnait son cours que la police l'a interpellé sur base d'un mandat d'arrêt et incarcéré au cachot du parquet de Gikondo avant d'être présenté devant le tribunal. Selon la loi Rwandaise, l'infraction de "ségrégation, sectarisme et atteinte à la sûreté intérieure de l'Etat rwandais" est de la compétence de la Haute Cour de Justice (la plus haute instance judiciaire du Rwanda). Si Byabuze est reconnu coupable, il encourt jusqu'à 20 ans de prison ferme sans possibilité de faire appel. LT Abdul Joshua Ruzibiza: Ni Kuki Imvugo Ye Yahindutse Muri Iyi Minsi? Joshua Ruzibiza nimumuhe amahoro! Uriya mwana wo mu Bugesera yaragenze arabona. Yarwanye intambara yo kugirango buri munyarwanda agire ukwishyira ukizana nyakuri, agirirwa icyizere gihagije kuburyo byageze n’ubwo bamushyira muri network Commando yagombaga kwivugana Ikinani. Iyo mission amaze kuyisohoza, Icyizere yari afite cyo kwakirizwa impundu asanze abo yasize inyuma gihita kiyoyoka, kuko aho kugirango urupfu rw’Ikinani rukurikirwe n’impundu, ibyakurikiye namwe murabizi. Bigeze nk’aho byakagiye mu buryo , abe yari yarasize inyuma Inkoramaraso zirabarimarima, kandi abo bafatanije urugamba bo ngo bahugiye mugufata ibiti n’amabuye, abandi bibereye mu gitanda n’abakadakazi aho gutabara abarimo kwicwa. Ruzibiza yarashinyirije ngo adatatira umugambi yiyemeje ubwo yahagurukaga agasanga inkotanyi, ariko uko iminsi yagiye ihita niko nawe yagiye abona kwa kuri yibwiraga ko arwanira kugenda gukandagirwa n’abamukuriye. Yarivugiye ati Inkotanyi zasanganga ahantu Interahamwe zimaze kwica, nazo zigasya zitanzitse zigakindagura abo zihasanze, zarangiza zikavanga imirambo yose zikayitirira Interahamwe. Ruzibiza yivugira ko Inkotanyi Nkuru ubwayo yigiraga kuri machine gun ikanyanyagiza urusoro ku mbaga y’abaturage bagiye kurema isoko. Ruzibiza aho yabereye Intwali, yabaye umwe mu bambere bitaje inkaba. Aranyanyagira Umwana wo mu Bugesera. Ntimukeke ko aho yari abunze iyo za Uganda Umutima wari ukimuba mu bitereko, kuko atari ayobewe ko Cyama yinjirwa ariko ko idasohokwa. Bibliya mu kaboko kamwe, umutimanama n’urukundo rw’ikiremwa-muntu mu kandi, Venuste Ruzibiza waje kwitwa Joshua Uwiteka aramuterura n’I Burayi ngo baaaa! “Ndi Ruzibiza rwa Ndabaruta mwene Mihigo ya Ntwari ya Mutanyagwa. Ndi Ingabo y'imbanziriza rugamba nkaba na none inkware itora mu itongo ry'uwayihigaga. Ndi nyamugarukana ibakwe nkabanenga abiyanga, nkabakunda abibone iyo banga kuba imbere mu barangamiye inda nsa. Ndi intwari nkaba ingabo, nakanze Rutiruto ndamutokoza ata ibaba atameze, ngo akebuke abaza uwo ndi we nti ndi ya Ntwari ya Ndabaruta uwanze ko umuhakana n'inyanjwa watoraguye ishyanga zitora amananga”. “Ndi Ntacyobimbwiye Kagame ka Rutagambwa ikinyoma narakisasiye ndacyiyorosa imyaka irahita. Sinkangwa n’imicuko inkota iyo nyikugennye mu gihumbi nkobona yanze gushira inyota ndayegera ngashigisha”. None se murumva ko uyu mwana w’umunyarwanda Ruzibiza yorohewe? Agize Interahamwe zimwe zirirwa zimwirahira, agize abafransa yanga urunuka bamugize point de reference, agize Abatutsi nka Rufagari birirwa bamuvumira ku gahera, agize mwene Rutagambwa wirirwa abaza inkoramaraso ze ati mutegereje iki ngo mufagiye uwo mushenzi, agize imbeho yo muri Norvege, agize kuzirikana ko icyo yarwaniye atakigezeho ahubwo akaba asigaye ari nyakamwe n’ubwo ibyo abisangiye na benshi, ……Naho ndetse agira mu mutwe hakomeye. Nimubona rero atangiye kuvuga ibiterekeranye, ntimuhite mu mutwama kuko yabonye byinshi kandi bigoye. Njye mubarira mu ntwari mu zindi. N’ubwo mu mvugo ye muri iyi minsi mbona asa n’uwicuza kuba yaravuyemo aba bafataije urugamba ashyira ahagaragara ubwicanyi bwabo, abamuzi mukwiriye kumuhumuriza mugira muti: “Gira amahoro mwana w'Imana, kabone n’iyo wabona ab’isi bose ari abagome kuko bashaka kugukoresha ntibagire ikindi bakumarira, wakoze neza kandi amateka y’u Rwanda ntabwo azabura kukwibuka”. KIRAHUTERA Saint-Polycarpe ( 23 fevrier) : Priez pour nous ! 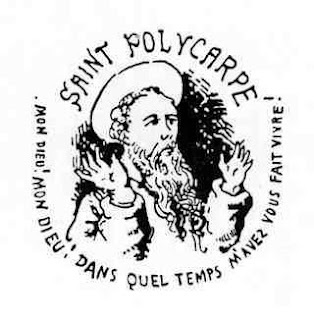 Bonne fête de la Saint Polycarpe (23 février). « Voilà la race commune des gens qui sont à la tête de la société. Dans quel gâchis nous pataugeons ! Quel niveau ! Quelle anarchie ! La médiocrité se couvre d'intelligence. Il y a des recettes pour tout, des mobiliers voulus et qui disent : " Mon maître aime les arts. Ici on a l'âme sensible. Vous êtes chez un homme grave ! " Et quel discours ! quel langage ! quel commun ! Où aller vivre, miséricorde ! Saint Polycarpe avait coutume de répéter, en se bouchant les oreilles et s'enfuyant du lieu où il était : " Dans quel siècle, mon Dieu ! m'avez-vous fait naître ! " Je deviens comme Saint Polycarpe. » (A Louise Colet, 21 Août 1853). Depui que vous avez fai un livre sur mon patron saint Antoine l'orgueil l'a perdu il est devenu insupportable - il es pis qu'un cochon, sof le respec que je me dois. Il ne pense pu qu'aux fame et à un ta de vilaine chose. Il me fai des propositions obscène qu'il en es dégoutant, bref, je ne peu pu resté avec lui, et je vien vous demandé si vous voulé bien de moi.Je feré ce que vou voudré, même des cochonerie.Je suis votre humble serviteur. Saint Polycarpe (évêque de Smyrne), martyrisé en 167, combattit de nombreuses sectes hérétiques, les Gnostiques en particulier. Il fut condamné au bûcher. Mais, selon la légende, les flammes l'épargnèrent et ses bourreaux le poignardèrent avant de brûler son corps. Ingrédients pour 4 personnes: 1 pâte brisée, 250g de champignons de Paris, 20cl de crème fraîche, sel, poivre, 4 escalopes de saumon, 3 oeufs, 1 salade verte. - Garnir un plat à tarte de pâte brisée. - Nettoyer et couper les champignons de Paris puis tailler les escalopes de saumon en petites tranches. - Mettre le tout sur le fond de tarte. - Mélanger la crème fraîche avec les jaunes d'oeufs. Saler poivrer. - Verser sur la tarte et glisser le tout au four (th.6) pendant 35 minutes. - Servir avec une salade verte. SI CE JOUR EST VOTRE ANNIVERSAIRE: cette année astrale aura beaucoup de relief en ce qui concerne la vie socio-professionnelle. Mais l'amour ne devrait pas suivre. Le Rwanda est cet étrange pays où de s'être beaucoup trompé dans le passé constitue une présomption de lucidité pour l'avenir. ut jam taceam quod in brutis plura observentur quæ humanam sagacitatem longe superant et quod somnambuli in somnis plurima agant quæ vigilando non auderent, pour taire pour l'instant ce fait qu'on observe chez les bêtes un assez grand nombre de choses qui dépassent de beaucoup la finesse humaine et que les somnambules font dans leurs sommeils un très grand nombre de choses qu'ils n'oseraient faire éveillés. Ikibya cyundi kirakandika. NAIROBI (AFP) - 15/12/2006 14h18 - Les dirigeants des pays de la Conférence internationale sur la région des Grands Lacs africains (CIRGL) ont signé vendredi à Nairobi un pacte de sécurité et de développement pour garantir la stabilité de cette région marquée par des conflits dévastateurs. "Nos Etats se sont engagés à transformer notre région, une zone de conflits, de violence et de méfiance, en une zone de paix, de stabilité et de développement", a déclaré Joseph Kabila, président de la République démocratique du Congo (RDC), lors de la cérémonie de signature à l'issue d'un sommet de deux jours auquel huit chefs d'Etat et de gouvernement ont participé. "La signature de ce pacte représente le couronnement d'un processus de négociation laborieux qui ouvre pour les populations concernées les perspectives de la démocratie, de la bonne gouvernance et du développement économique", a-t-il lancé. De son côté, le président kényan Mwai Kibaki a annoncé que ce sommet avait déclaré la région des Grands Lacs "territoire spécifique de reconstruction et de développement", accompagné de la création d'un fonds spécial pour la mise en oeuvre de ces deux objectifs. Les Etats se sont engagés à "affermir leurs relations bilatérales", ainsi qu'à la "non-agression, la coopération et le règlement pacifique de leurs conflits", a poursuivi M. Kibaki. "La RDC, qui vient juste d'achever son processus de transition en mettant en place des institutions démocratiques, ne ménagera aucune action afin de mettre en oeuvre ce pacte", a assuré M. Kabila, ajoutant que l'accent serait particulièrement mis sur le problème des groupes armés qui sévissent encore dans la région. Le pacte "mettra fin à toute exploitation illégale des ressources naturelles", a-t-il ajouté. Le pillage des abondantes richesses naturelles de la RDC, a nourri, entre 1998 et 2003, l'un des conflits les plus longs et les plus complexes d'Afrique qui a impliqué les armées de sept pays et de multiples mouvements armés. L'idée d'un tel pacte s'est justement imposée à la fin des années 1990, alors que la région était embrasée par la guerre dans l'ex-Zaïre. "Ce sommet a mis en lumière notre engagement collectif à trouver des solutions durables aux problèmes humanitaires et sociaux qui perdurent dans la région des Grands Lacs", a souligné M. Kibaki. Ce pacte de sécurité, de stabilité et de développement dans la région des Grands Lacs est accompagné d'un volet financier de 2 milliards de dollars (1,5 milliard d'euros). Ces sommes sont censées être versées par les Etats membres pour une partie et le reste par les donateurs. Le volet financier doit être consacré pour plus d'un milliard de dollars au développement économique et à l'intégration régionale. Plus de 450 millions de dollars iront aux déplacés internes et à des programmes sociaux, le reste des fonds étant destiné à la sécurité et à la promotion de la démocratie et de la bonne gouvernance. La conférence regroupe 11 pays: les Etats de la région des Grands Lacs eux-mêmes et tous les Etats frontaliers de la RDC. 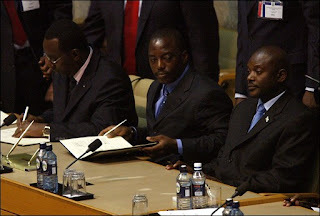 Ce second sommet intervient après un premier sommet en novembre 2004 à Dar-es-Salaam (Tanzanie), au cours duquel les chefs d'Etat de la région avaient signé une "déclaration sur la paix, la sécurité, la démocratie et le développement", au sortir de la guerre qui avait opposé plusieurs d'entre eux dans l'ex-Zaïre. La CIRGL est née d'une résolution du Conseil de sécurité de l'ONU appelant en 2000 à une conférence internationale sur la sécurité de la région. 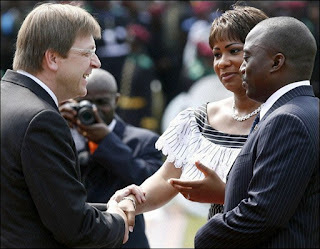 KINSHASA (AFP) - 06/12/2006 19h54 - Le président sortant de République démocratique du Congo (RDC) Joseph Kabila a prêté serment mercredi devant 10.000 invités à Kinshasa, capitale de ce vaste Etat d'Afrique centrale tout juste sorti d'une longue transition après une guerre de près de cinq ans. "J'annonce aujourd'hui la fin de la récréation, afin que le peuple puisse se consacrer entièrement au travail, et ce dans la paix et la tranquillité", a déclaré en français le chef de l'Etat, 35 ans, dans son premier discours à la Nation. 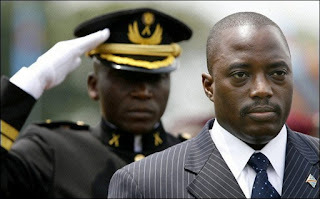 L'investiture de Joseph Kabila, désigné à la tête de l'Etat en 2001, puis élu au suffrage universel avec 58% des voix le 29 octobre, marque un tournant dans l'Histoire de ce pays sortant d'une difficile transition lancée après un conflit meurtrier (1998-2003). Vêtu d'un costume sombre, le regard concentré, le président a prêté serment devant les juges de la Cour suprême de Justice, garants de la Constitution, avant de recevoir les armoiries de la République et les félicitations des chefs coutumiers des 11 provinces du pays. Il est élu pour un mandat de cinq ans, renouvelable une seule fois. Neuf chefs d'Etat africains assistaient à l'investiture, dont le Sud-Africain Thabo Mbeki, parrain des accords de paix et de la transition en RDC, et le Congolais et président en exercice de l'Union africaine, Denis Sassou Nguesso. L'ONU, qui a déployé en RDC sa plus importante mission de maintien de la paix avec 17.600 Casques bleus, était représentée par son secrétaire général adjoint Jean-Marie Guéhenno et l'Union européenne (UE) par son commissaire au développement, Louis Michel. Seule absence notable, celle du vice-président Jean-Pierre Bemba, adversaire malheureux de M. Kabila à la présidentielle. Dès mercredi, la présidence de l'UE a félicité Joseph Kabila et appelé les Congolais "à travailler ensemble dans un esprit de réconciliation nationale". La France a salué "une étape très importante sur le chemin de la reconstruction et de la stabilité". Dans un discours volontariste et rassembleur, Joseph Kabila s'est engagé à briser le "cycle de crise" dans lequel son pays est enfermé par le travail, le rétablissement de la sécurité, la bonne gouvernance et une lutte acharnée contre le "fléau" de la corruption. "L'enjeu du développement auquel nous faisons face dépasse de loin les intérêts partisans (...). Je reste convaincu qu'en démocratie, il y a de la place pour tout le monde", a-t-il souligné, réaffirmant "le statut constitutionnel de l'opposition politique, qui doit jouer son rôle de contrepoids institutionnel". Il a annoncé la nomination "dans les prochains jours" du Premier ministre, poste qui devrait revenir, en vertu d'accords électoraux, au vieil opposant Antoine Gizenga (80 ans), ancien vice-Premier ministre de Patrice Lumumba. Le président a affiché sa "ferme volonté d'éradiquer toute forme d'insécurité", en évoquant les combats entre armée régulière et soldats dissidents qui secouent l'est du pays depuis la fin novembre. Joseph Kabila s'est aussi engagé à ouvrir son pays et à privilégier une "cohabitation pacifique" avec les Etats limitrophes, alors que les relations sont encore tièdes avec les voisins rwandais et ougandais, qui avaient envoyé des troupes appuyer des mouvements rebelles au régime de Kinshasa pendant la dernière guerre. "Le Congo de demain, je le vois porter l'espérance d'une Afrique renaissante. (...) Nous reconstruirons les conditions d'une société de tolérance où l'amour de l'excellence sera une conviction partagée", a-t-il lancé, dans un discours où se mêlaient des échos au "rêve" de Martin Luther King et des références au renouveau panafricaniste sud-africain. Joseph Kabila devra avant tout gagner la confiance des bailleurs de fonds, alors que la RDC a une dette multilatérale de 10 milliards d'euros. Ses marges de manoeuvre financière sont très étroites pour lancer les grands chantiers de la reconstruction de ce pays doté d'immenses ressources naturelles mais où 30.000 Congolais meurent encore chaque mois faute d'accès aux soins élémentaires. Rwanda: Y AURA-T-IL UNE FIN AU DRAME RWANDAIS ?